Harpers Ferry, WV - Cool Confectionaries, makers of the True Treats Collection, announces its grand opening in Historic Harpers Ferry, WV. Cool Confectionaries is the nation’s only company offering authentic candies from the early Native Americans to the 1950s. Equally unique, the history of each selection is told on the packaging. To celebrate the media is invited for a private candy tasting while the public gets free treats. 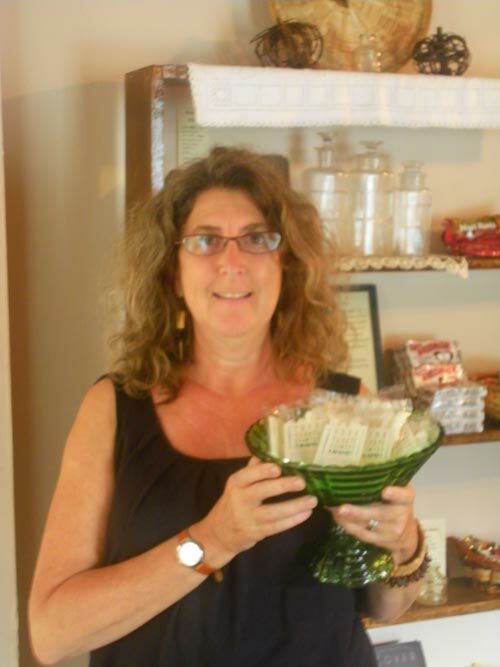 According to Susan Benjamin, president of Cool Confectionaries, Harpers Ferry was the perfect location for the shop. “We were primarily selling to museum gift stores, retail shops, and other places,” she says. “When we decided to have a brick and mortar presence, Harpers Ferry, with its rich historic relevance, seemed like the perfect fit.” The shop also gives the staff space to provide free historic tastings to schools, 4-H, and other educational groups. Originally the product line contained treats exclusively from the 1800s, including the Gilbralter, the first commercially made candy in the US; old fashion vanilla sticks; and molasses pulls. Since then, they have expanded to 80 products from the first chewing gum in the world to 1700’s sweetmeats to 1900s taffy. They even added candy collections in attractive jars and tins, including botanical sweets, Civil War treats, and original penny candy. Many come in the authentic containers from the times. Historic Harpers Ferry is located approximately one hour from Washington DC and Baltimore and is situated at the confluence of the Potomac and Shenandoah rivers. Cool Confectionaries, LLC is owned by Susan Benjamin, a professional researcher, author, and expert on historic sweets.